Stretching the One Income Dollar: Black Friday Deals - Check It Out! 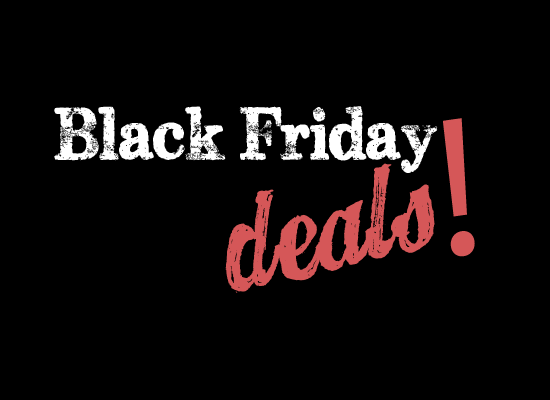 Black Friday Deals - Check It Out! Do you know what comes next after Thanksgiving? Black Friday! And what comes to mind when you hear those two magical words? Shopping and great deals! Be ready to shop for those great deals after you stuff yourself with sumptuous turkey on Thanksgiving. Mark your calendars. Save on Black Friday Deals. Are you ready for Turkey Day and then some shopping? We know you are a trained shopper and can spot the best deals out there. The busiest shopping day of the year is officially upon us which means that your inbox and social media feeds are probably flooded with e-tailers claiming to have the very best, can’t miss deals. We understand how overwhelming (and stressful) it can be to make the smartest purchase decisions, so in true Spa Week fashion, we’re offering a discount on the gift that truly never goes out of style: rest and relaxation! Starting on Black Friday purchase a $100 Spa & Wellness Gift Card for $79.99 by logging onto: www.spaweek.com/media to get a hold of this holiday season’s best deal. The deal starts on the 28th and ends on Dec. 31st! For over 50 years, little boys and girls have been growing up in Vitamins Baby. With their mission to provide the highest quality baby products for newborn, infants and toddlers at affordable prices, VitaminsBaby.com offers a full selection of infant and toddler clothes including preemie, newborn layette, multi-piece sets, playwear, sleepwear, educational books, baby shoes, and baby accessories. Whether you are purchasing for your own child or as a gift, always know Vitamins Baby products are made with your child in mind. This sale will run until Monday for Cyber Monday too. For this year’s Black Friday, Demeter Fragrance Library is selling its Limited Edition Holiday Sampler, which contains 10 of our best selling fragrances in 3mL vial samplers. 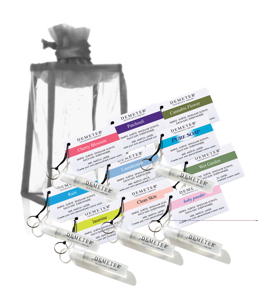 Not big on commitment, these vial samplers are a great way to try and/or gift their fragrances. Only 100 of these very special sets will be available on Black Friday at DemeterFragrance.com.